Utilizing electrophotographic laser printing technology, the Brother HL-5140 personal printer is capable of moderate print speeds and very high toner yields. 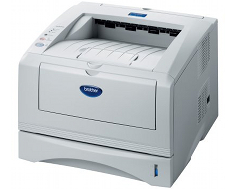 With 72 included fonts and multiple expansion options, including both memory and paper storage, small workgroup printers such as this are a great option for the growing business. Thanks to a built in 133 Fujitsu SPAR Clite processor, the Brother HL-5140 is able to pull off print speeds of up to 21 pages per minute. While this is not as fast as the current workgroup printers being released today, it will certainly serve many businesses well. The first page out time of only 10 seconds is also up to par. Print resolution is high for a device such as this with quality levels selectable from 300 x 300 dots per inch, to 600 x 600 dots per inch, to Brother's HQ1200 level of 2400 x 600 dots per inch. Paper handling is very good as well and also allows for many standard media sizes including letter, legal, executive, A4, A5, B5, and B6. Special media types compatible include envelopes, transparencies, labels, plain paper, bond paper, recycled paper, and others. 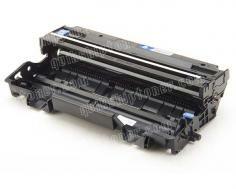 The Brother HL-5140 comes in a reasonably sized package, with chassis dimensions of 10 in. x 15 in. x 15.1 in. (W x D x H) and it carries a weight of only 23.1 pounds, meaning it is not only unobtrusive, but also fairly mobile. DOS, Windows, Linux, and Mac operating systems are all compatible with the unit, as well as a limited parts replacement warranty. Though it is a small detail, the power consumption of this unit is actually notably high and runs at 460 watts while in operation and a far too high 75 watts while in standby mode. This will result in a slightly higher energy bill than one would like when dealing with a small printer. Apparently, Brother has tried to remedy this problem by adding a power saving mode, but it may be a hassle to actually use. Connectivity options are standard, if not good considering both high speed USB 4 pin type B ports and a parallel port are included but, for a workgroup printer, a networking option would be a nice edition. The recommended monthly duty cycle of this printer is low, at only 3,500 sheets, which means that very high volume printing will endanger the life of the printer, and the warranty is good for only one year. 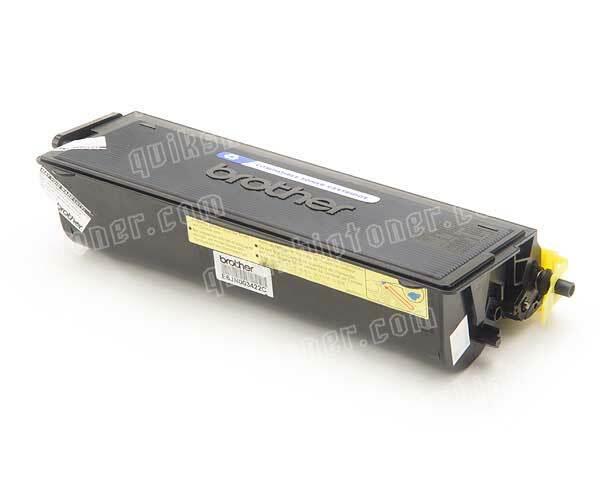 Review it: "Brother HL-5140 "
Though the initial cost of both the printer and the toner consumables required to operate it are much higher for laser printers than inkjets, the page yields per cartridge are often around ten times as high. The Brother HL-5140 has a high yield toner cartridge available that is capable of printing up to 6,500 pages, whereas the standard cartridge for the unit can print only 3,000 pages. The drum unit is quite large as well with a 20,000 page yield that will certainly ensure that replacement cycles run long.